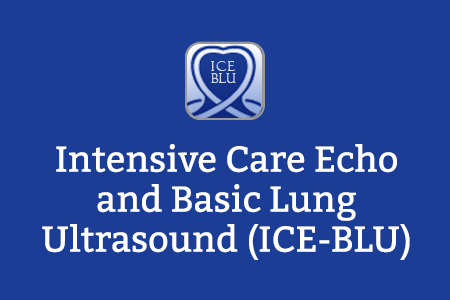 The ICE-BLU project covers the theoretical knowledge required undertake hands-on training in focused echo and lung ultrasound in intensive care. It is designed for all clinicians interested in assessment of critically ill patients, including those in anaesthesia, intensive care, emergency and acute medicine. It introduces the physics of ultrasound, anatomy and basic views, left and right ventricular function, life-threatening pathologies, basic lung ultrasound and some of the limitations and pitfalls that may be encountered. The DICE sessions go beyond the FICE curriculum, to explain Doppler theory and demonstrate the value of spectral and colour flow Doppler imaging in clinical practice. Ultrasound of the heart and lungs in the critically ill patient is a non-invasive, easy-to-perform and valuable mode of bedside imaging. A focused cardiac and lung ultrasound examination can identify serious and life-threatening pathology in the haemodynamically unstable patient, and guide management. The ICE-BLU sessions will interactively teach the theoretical knowledge required prior to attending a hands-on training course, and includes a final MCQ session, which allows the production of a CPD certificate for those who have completed all eight sessions. 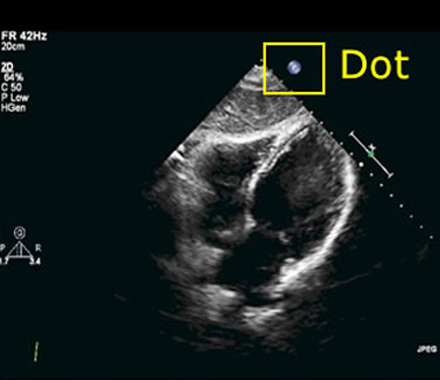 Doppler imaging can enhance the clinical information obtained by echo in cardiac pathology, and the DICE sessions explore beyond FICE to discuss the theory and application of Doppler modes for non-specialist echo users. Whereas ICE-BLU is endorsed by the ICS as the e-learning package for FICE-accreditation, DICE has been developed independently, and is outside the FICE curriculum. Trainees of Doppler echocardiography must have appropriate clinical supervision, and users must practice as self-regulating practitioners. Please note that if you access the content below, your progress and completion of the session will not be recorded and you will not be able to generate a record of completion. The following sample session explains the anatomy of the heart and lungs related to ultrasound imaging. Building on this knowledge, the basic views used in intensive care echo and basic lung ultrasound are then described. If you already have an account with e-LfH, then you can enrol on to the Intensive Care Echo and Basic Lung Ultrasound programme by logging in to the e-LfH Hub, selecting My Account > Enrolment and selecting the programme. You can then access the programme immediately in the My e-Learning section. For more information on the licensing options available for the Intensive Care Echo and Basic Lung Ultrasound programme, please visit the eIntegrity website. The Intensive Care Echo and Basic Lung Ultrasound programme is also available to NHS healthcare staff via the Electronic Staff Record (ESR). Accessing this e-Learning via ESR means that your completions will transfer with you throughout your NHS career.